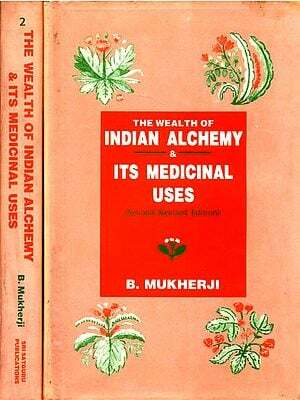 An adequate History of Indian Medicine has yet to be written, though the importance of the subject has been acknowledged by the eminent authorities. 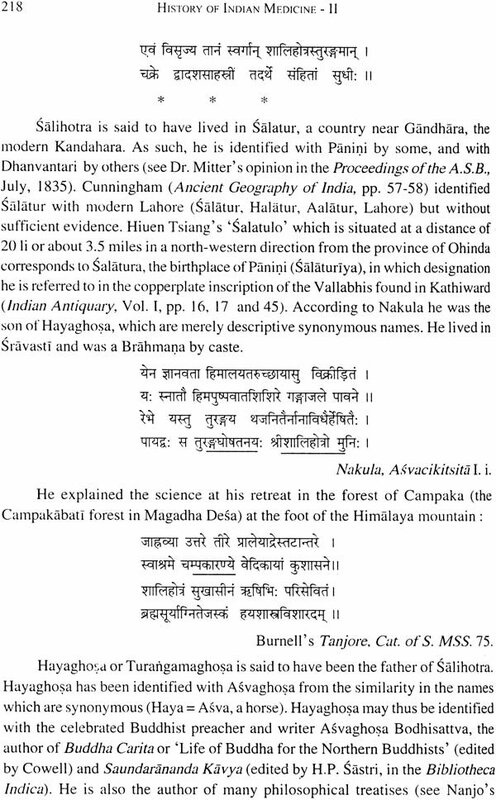 Professor Max Neuburger of the University of Vienna records the opinion that "the medicine of Indians, if it does not equal the best achievements of their race, at least nearly approaches them, and owing to its wealth of knowledge, depth of speculation and systematic construction, takes an outstanding position in the History of Oriental Medicine. 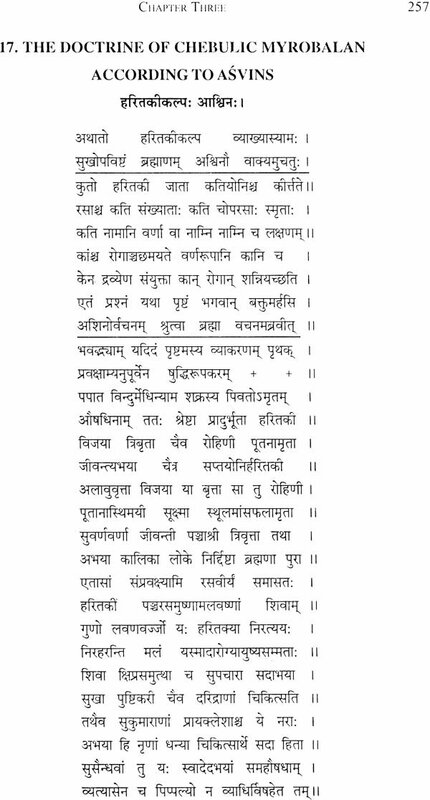 Thanks to the inexhaustible fount of Sanskrit Literature, its development can be traced in outline at any rate from its primeval origins in empiricisms and theurgy to its height as a completed system of learning." 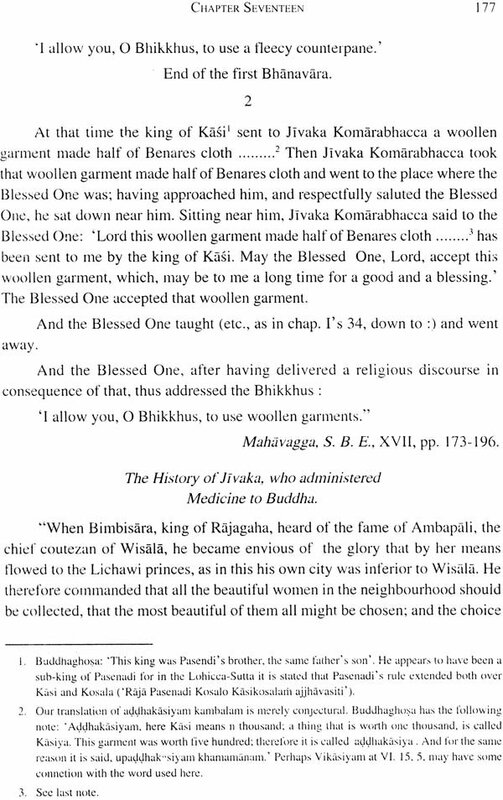 (Neuburger: History of Medicine, translated by Playfair Vol. I, p. 43.) 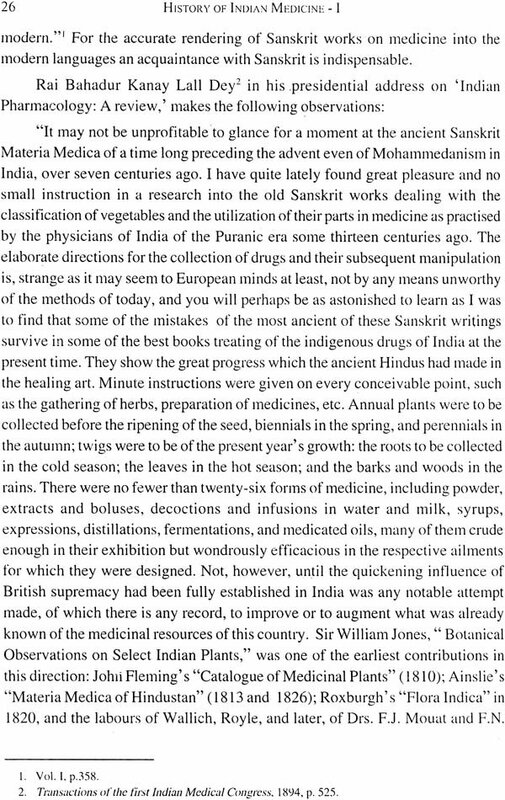 It needs no elaborate argument to establish that this "inexhaustible fount" requires for its complete exploration an army of scholars; and till this has been achieve, summaries of the history of Indian Medicine must continue to be incomplete and fragmentary. We cannot consequently express surprise when were find that Neuburger in his great work devotes only 18 pages to the subject, while Professor Buck of Columbia in his work on "The Growth of Medicine from the earliest times to the end of the 18th century" contents himself with a few paragraphs which occupy 8 pages only. 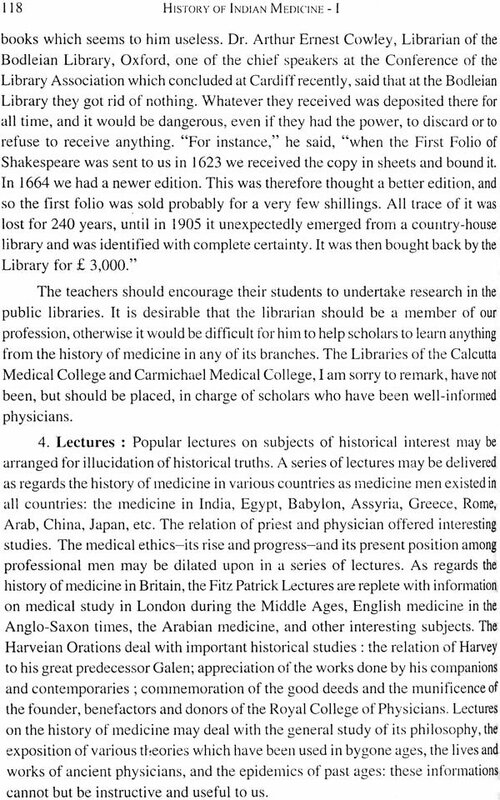 In these circumstances, it is no wonder that the topic is not even mentioned in the brilliant lectures on "The Evolution of Modern Medicine" delivered by Sir William Osler at the Yale University in 1913. 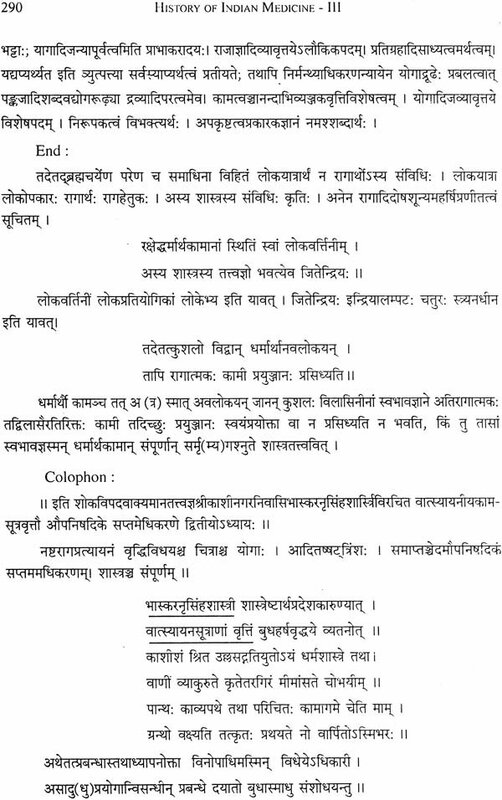 I have stated enough to establish the importance of the work undertaken by Dr. Girindranath Mookerjee. 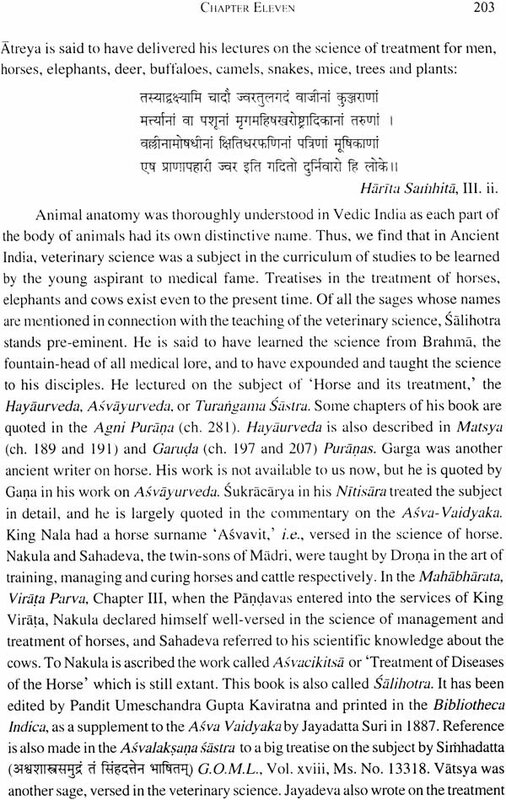 In 1909 the University awarded him the Griffith Memorial Prize for the encouragement of advanced study in Science and Letters, in his valuable theses thesis dealing with the Surgical Instruments of the Hindus. This work has already been published in two volumes and its merits have been widely recognised. 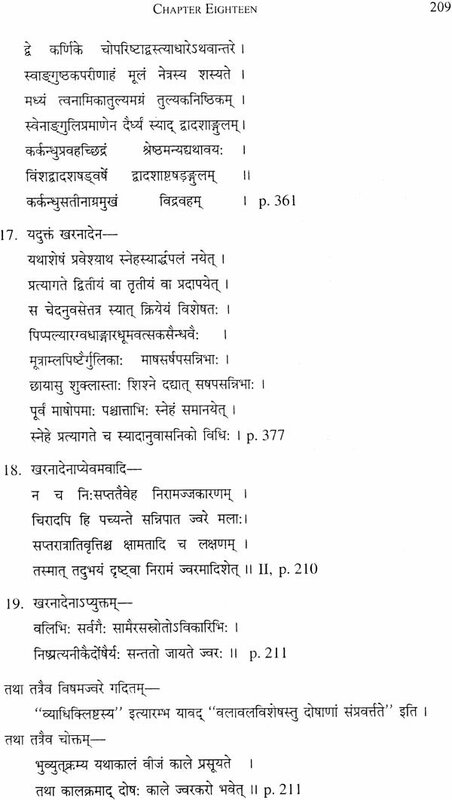 In 1911 the University again awarded the Griffith Prize to Dr. Mookerjee for his exhaustive thesis entitle "Notices, Biographical and Bibliographical of the Indian Physicians and their works on Medicine." 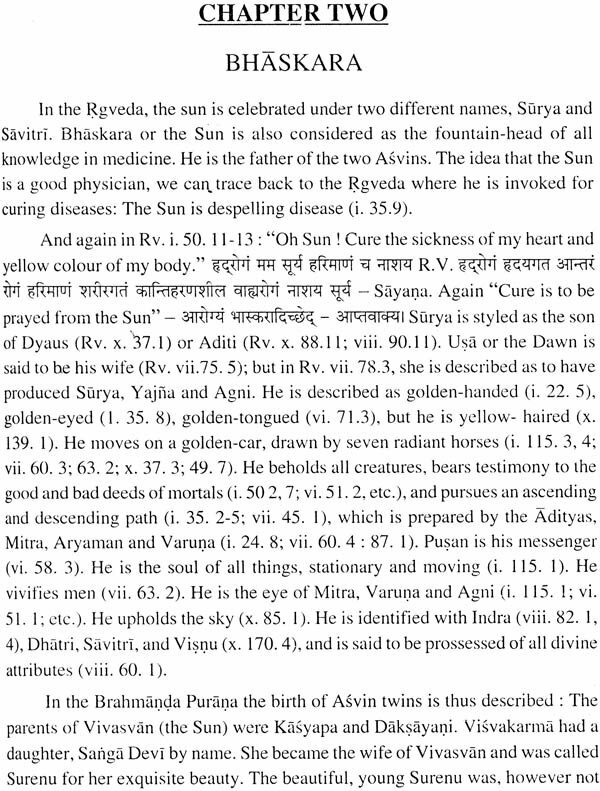 This was followed in 1913 by a thesis on "the Science of Medicine in the Atharvaveda," which participated in the award for that year. The materials thus collected are of immense value and will occupy several volumes. 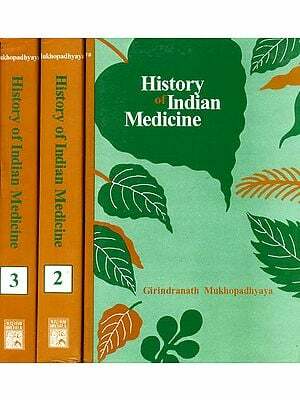 The first volume of the History of Indian Medicine is now offered to the public. It is now many years since I undertook and completed the book. 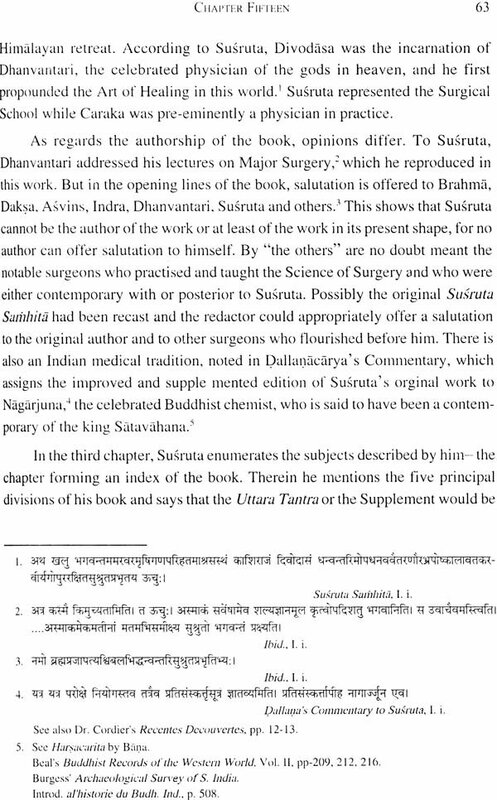 I submitted it as a thesis for the Griffith Prize for original research: "Notices Biographical and Bibliographical of the Ayurvedic Physicians and their Works on Medicine." It was commended and the prize was awarded in 1911. I regret that so long a time has elapsed in the publication of the book. 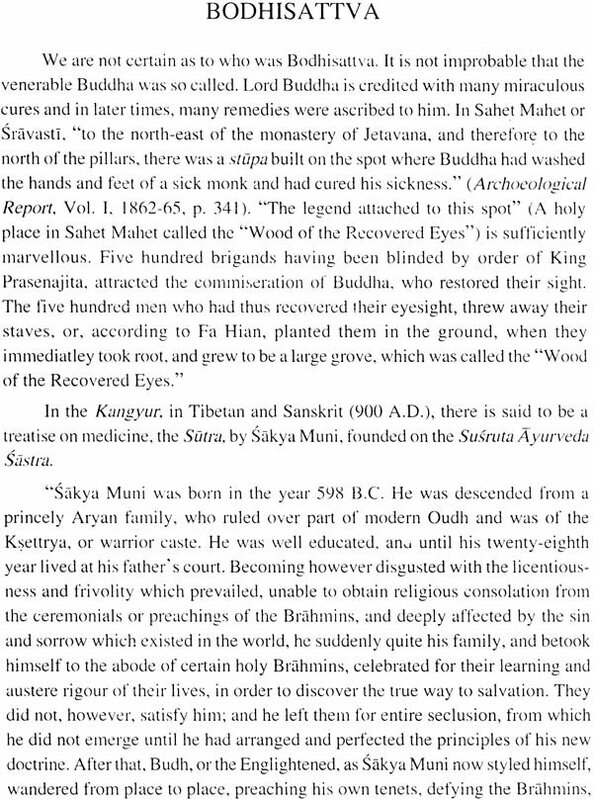 During the last few years there have been advances in the study of history of medicine. Consequently, in this edition, not only has revision been exhaustive, but many portions have been entirely recast and largely re-written. While this volume represents data and conclusions drawn from individual research, it is at the same time largely indebted to the works of others. References have been given to all the authorities and original sources as far as possible. I may at once disclaim all pretensions to scientific treatment of my subject. I crave the indulgence of the readers for many shortcomings of the work. The writer is not master of his time, and the incessant engagements of his practice leave little leisure for literary works. 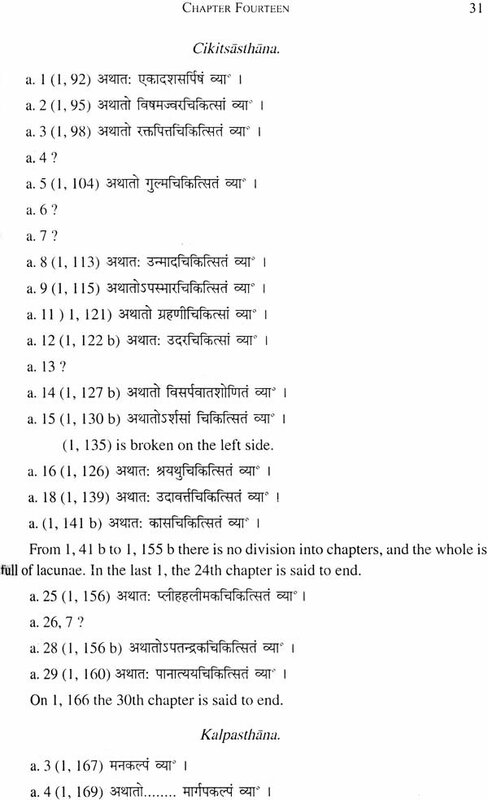 To render the finding of any particular subject easy to the reader, I have enlarged the Table of Contents. The general index, which will be given at the end of the work, will facilitate references. 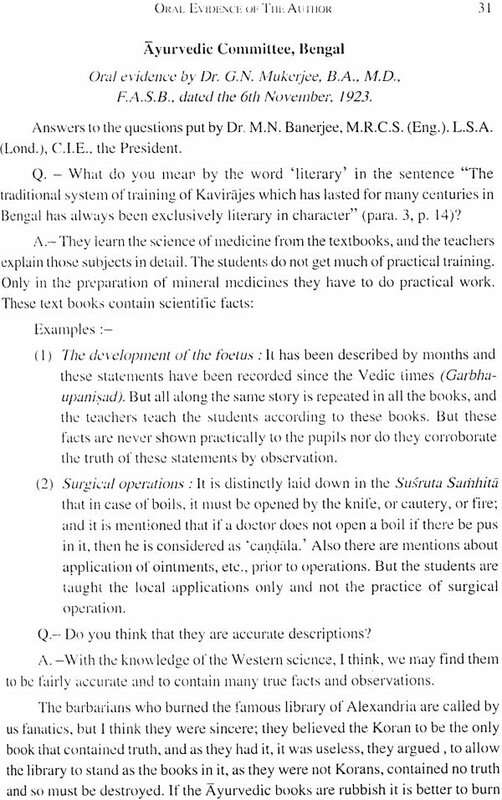 Before concluding this preface, I tender my thanks to the Vice-Chancellor of Calcutta University, Sir Asutosh Mookerjee, for assistance of the utmost value in the preparation and publication of this volume. In fact, it might have been deferred much longer if had not secured his valuable assistance. I have also to express my gratitude to him for his kindness in writing a foreword to this volume. 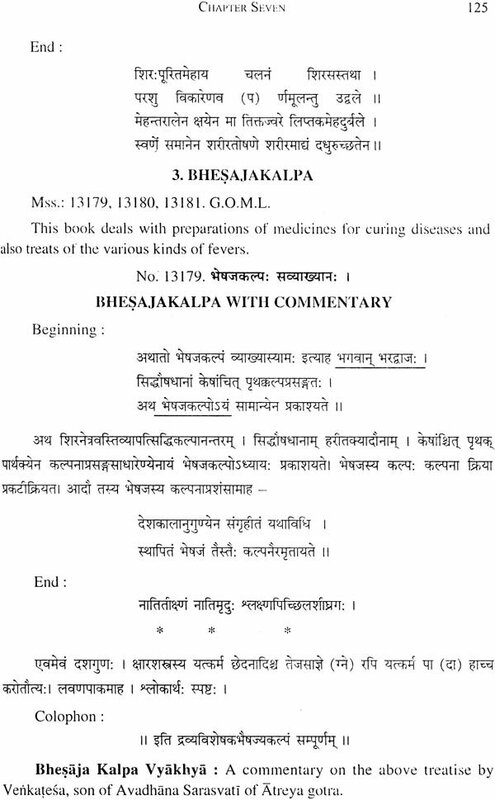 Comparative Medicine It can reveal the state of medical knowledge. Comparative Philology and Comparative Mythology Rosetta stone. The tri-lingual coneiform inscriptions of Darius and Xerxes. Sandrokoptos. Labour of Champ-ollion, Rawlinson, Grotefend, Burnouf, Jones, Bopp. 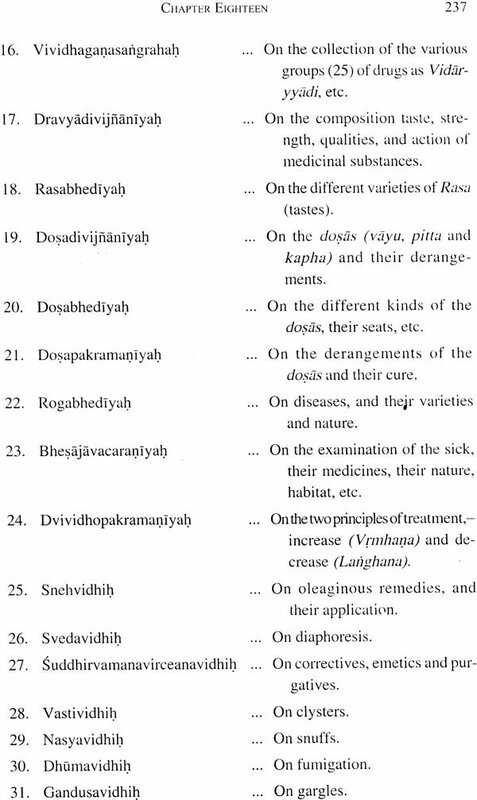 In Medicine Egyptian papyri; Pali and Sanskrit Buddhist literature; Greek and Roman medicine; Veda and Zend; Tibetan Tangyur and Kangyur, Arabic and Persian, Tamil and Singalese Medicine in Java, Burma, China and Ceylon. The necessity to learn classical and modern European languages. 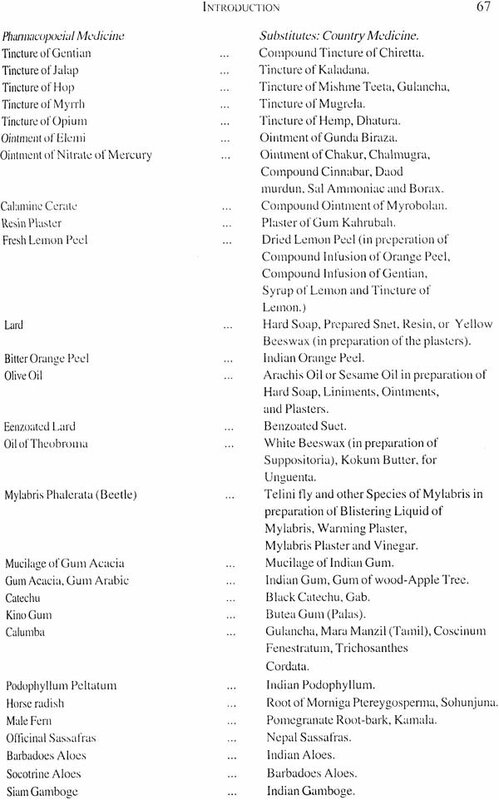 Folk medicine. The different systems of medicine, and their classification. Empirical knowledge. Indian system is not a 'solitary system' but has much in common with the other systems-Persian, Mesopotamian. The use of such a study. 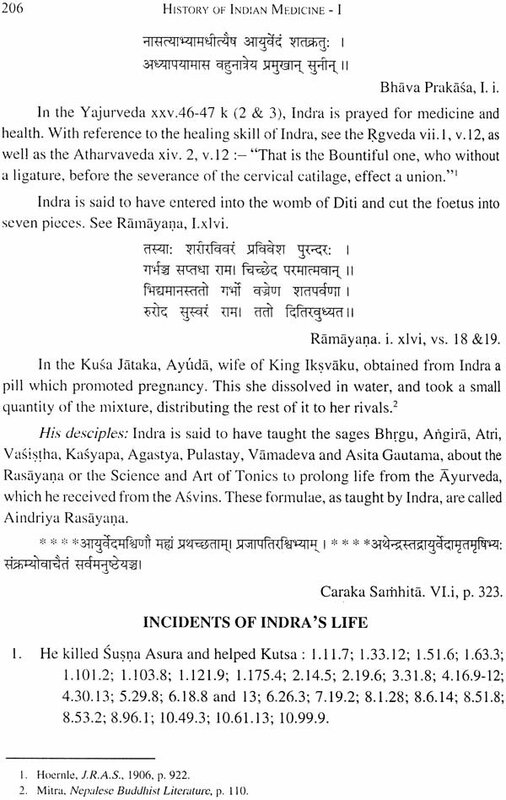 Revival of Hindu medicine--Journal of Ayurveda. Text-books. 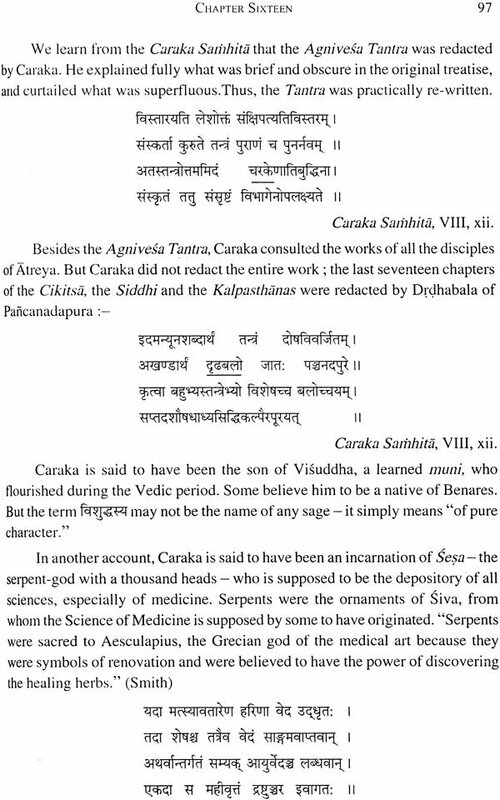 Caraka Caraka Samhita its origin. Age of Caraka. Editions. 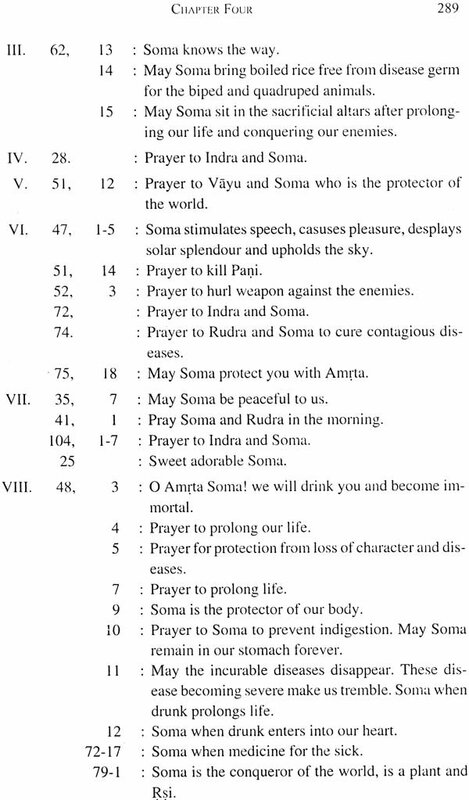 Translations. The commentators of Caraka and their commentaries. His works. MSS. 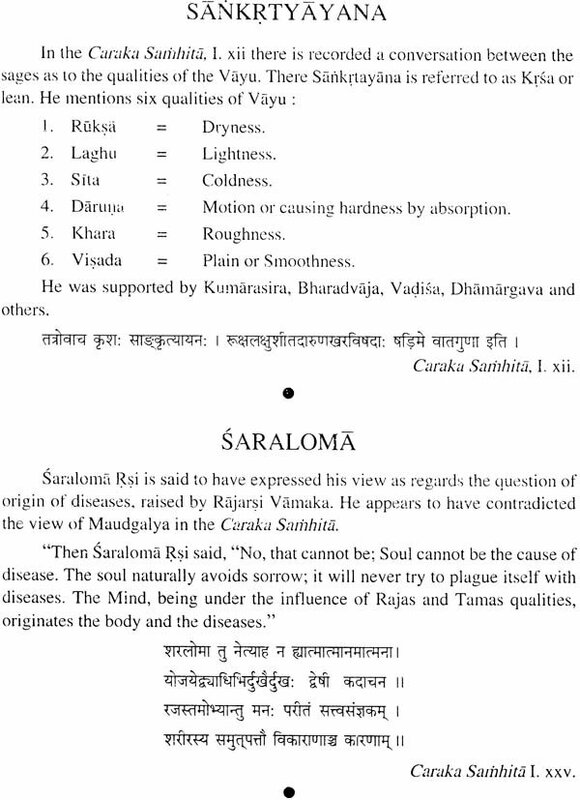 Of Caraka Samhita. 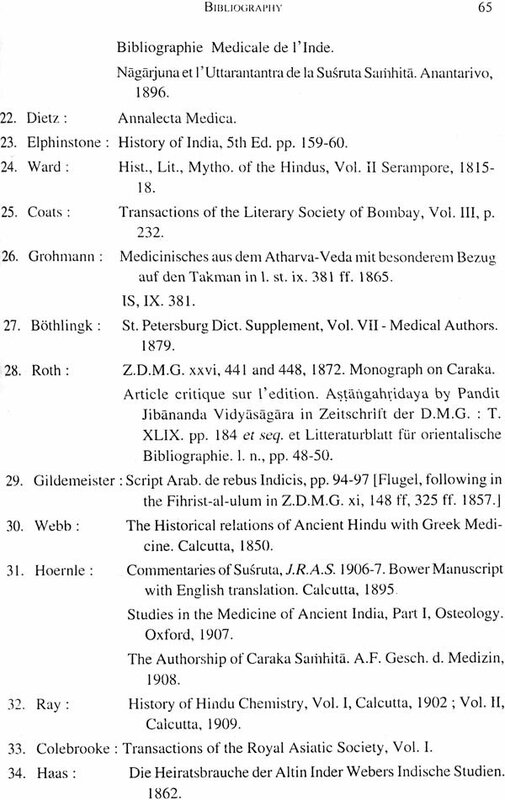 The list of medical authors mentioned in it. 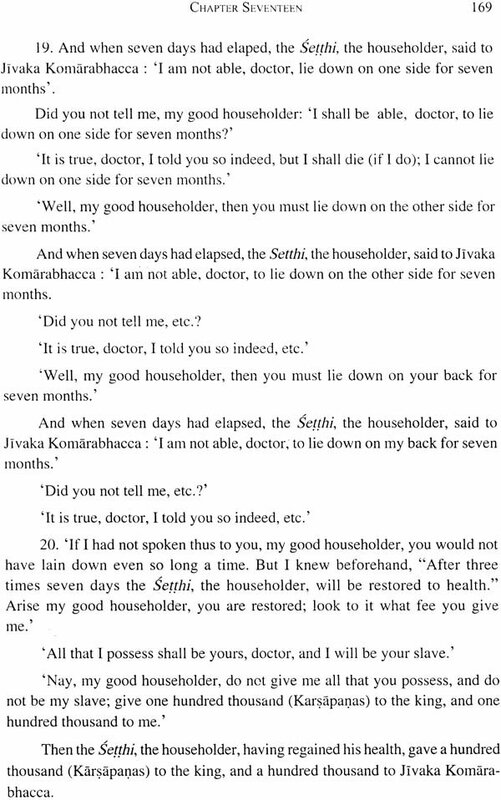 Kharanada and Kharanadi- Quotations from their works. 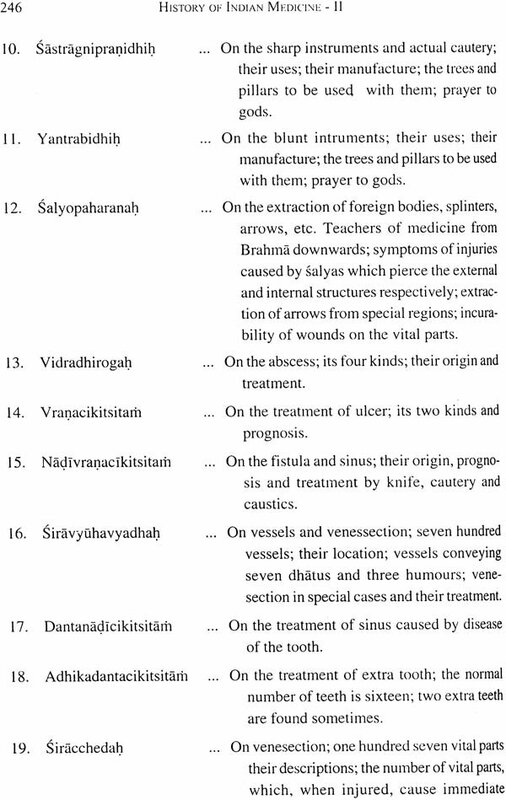 Patanjali His parentage-His works. 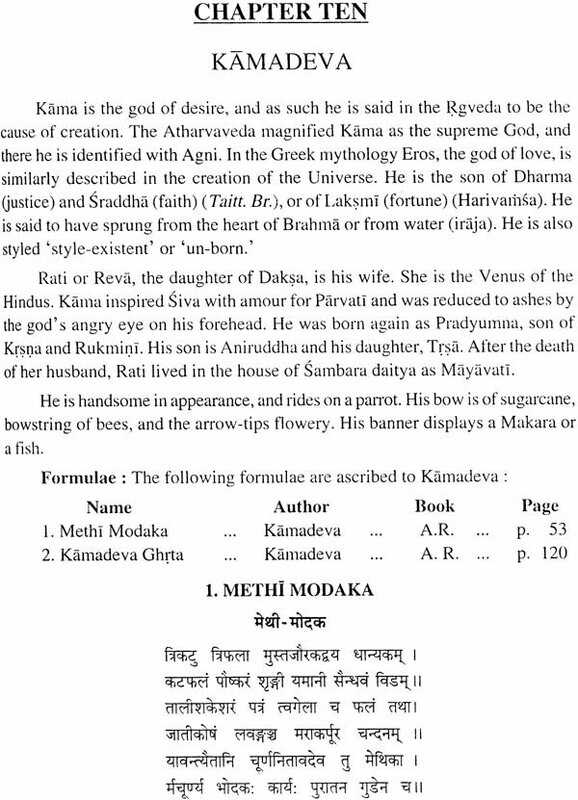 Caraka and Patanjali. 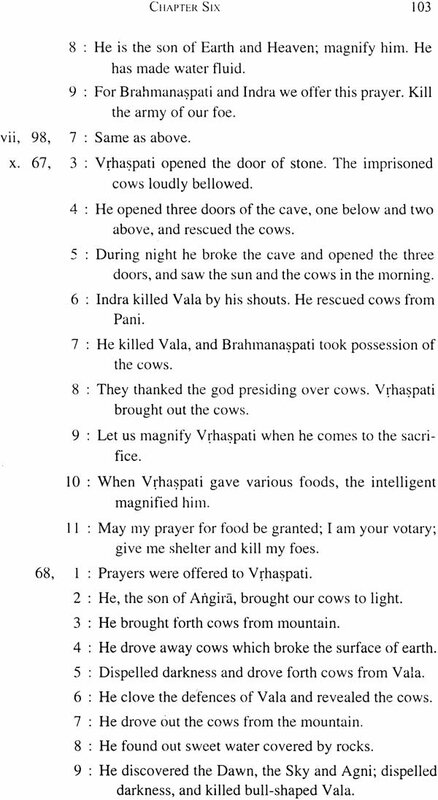 Patanjali and Nagarjuna. 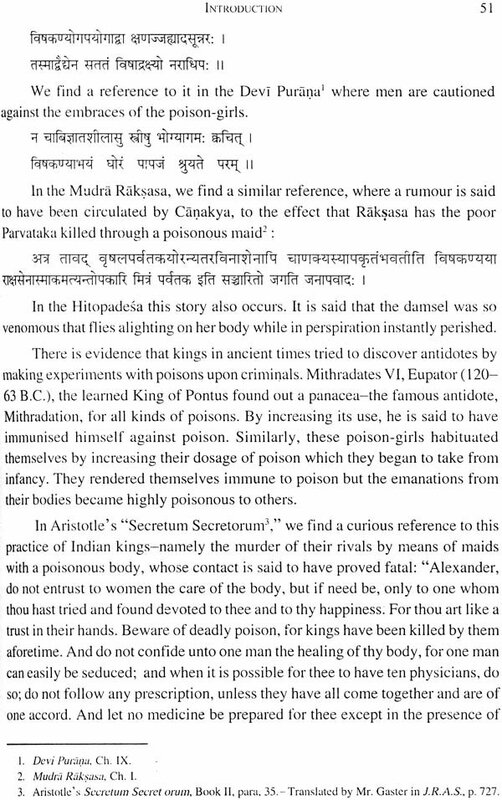 The Age of Patanjali-internal and external evidence.